With its staple EvoWash sand washing plant and a high-tech screen from its new Infinity range, CDE Global produces high quality material washing products. A leader in materials washing products, Cookstown-based CDE Global will be exhibiting its staple EvoWash plant and a high tech screen from its new Infinity range at Ireland’s mega construction and quarry machinery show ‘CQMS’ (21-22 April 2017) in Tullamore. Purchased by long-term client Roadstone, a subsidiary of Irish CRH Group, and a leading international producer of building materials, the EvoWash and Infinity screen will go about their washing duties on their Classis site in Co. Cork after an estimated 8,000 visitors have had the opportunity to discover or re-discover them at CQMS. One of CDE Global’s first and earliest customers, Roadstone has been using CDE washing equipment on most of their sites across Ireland since 2002. Having produced more than 3 million tonnes of sand for the construction industry, the original multi-sand plant sold for the Classis site is now being upgraded after 15 years of loyal services to Roadstone. Due to increased demand for product and improved production offered by wet screening at the primary stage, Roadstone decided to upgrade their existing plant with an EvoWash 151 sand washing plant and an Infinity screen which are able to adapt to variations in feed contents. 450 tonnes per hour of raw sand and gravel material will be fed into the plant to produce 105 tonnes per hour of 0-4mm, 155 tonnes per hour of 4-20mm, 90 tonnes per hour of 20-50mm, and 100 tonnes per hour of +50mm. The washed materials will be used in the production of ready-mixed concrete, concrete blocks, and blacktop. With a new and improved washing system, issues of downtime will be minimised. High tech screening technology has become a must for washing plant operators who want optimal production results from a reliable range of equipment. CDE invests extensively in its research and development department to remain ahead of the innovation curve, and with all products being manufactured and tested at its assembly facilities in Cookstown, Northern Ireland, reliability is guaranteed. A case in point, the Infinity screening range was launched in 2016 and since then, has become one of the firm’s most popular products. The Infinity screens’ bolted construction eliminates the need for welds and the U-Span cross-members, in combination with the construction of the side walls, deliver higher specific stiffness that prolongs the working life of the screen. Cathal Lavin, Location Manager at Roadstone Classis, opted for the CDE inclined sizing Infinity screen with VibroCentric electric drive system. 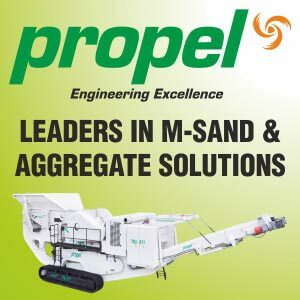 He explained: “Our existing multi-sand plant and dry screen have performed extremely well over their 15-year lifetime, but as construction technology evolves, so does demand for increasingly consistent sand gradings. Given the increased requirement for sand and coarse aggregates for our downstream products, the time has come to grow our production capability. As a result, we needed to upgrade in order to ensure that we achieve maximum TPH every hour and that our plant is capable of adapting to challenges such as variable deposit moisture content brought by weather and natural variations within the deposit.